The lawsuit was filed in April, but ARPS did not publicize it until Tuesday, hours after Governor Andrew Cuomo announced the final approval of the state’s plan. Drafted by DEC and the Department of Transportation, the plan calls for tearing up the tracks between Tupper Lake and Lake Placid to create a recreational trail for bicycling, hiking, snowmobiling, and other uses and repairing 45 miles of tracks between Big Moose and Tupper Lake that have fallen into disuse. 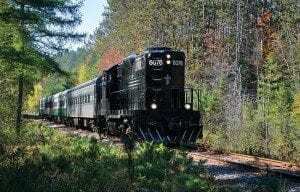 ARPS operates seasonal tourist trains, under the name Adirondack Scenic Railroad, at both ends of the 119-mile corridor. If the state’s plan is implemented, it will have to shut down a train that operates on ten miles of track between Saranac Lake and Lake Placid. However, it could extend its excursions on the other end of the line, running trains from Utica to Tupper Lake. ARPS, though, wants the state to fix up the entire line so it can run trains from Utica to Lake Placid. Travel Corridor. The rail line is classified as a Travel Corridor in the State Land Master Plan. Except for the rail line, all the Travel Corridors in the Park are highways. ARPS contends that if the tracks are replaced with a recreational trail, the rail line will no long be a Travel Corridor in the sense intended by the State Land Master Plan. “A Travel Corridor is not defined as a trail allowing for a range of recreational activities. It is defined in terms of highways and railroads,” the plaintiff’s lawyers assert in court papers. ARPS argues that the Adirondack Park Agency erred when it ruled in February that removing the tracks would not violate the State Land Master Plan. DEC approval. Seggos signed off on the plan in March, according to the lawsuit. ARPS lawyers contend that his approval of the plan was based on “flawed and biased economic impact data.” They say he ignored contradictory data. Furthermore, ARPS says Seggos and other DEC officials refused to consider information that the society tried to present at a meeting in December (after the public comment period had ended). The lawsuit contends Seggos’s approval of the plan was “arbitrary and capricious” and should be nullified. The railroad wants the judge to halt implementation of the state’s plan and force the state to draft a new management plan for the corridor. APA spokesman Keith McKeever would not comment on the lawsuit except to say the state has yet to file a reply. State officials rarely comment on pending litigation. In the past, DEC officials have asserted that the corridor will remain a Travel Corridor as long as it stays under the jurisdiction of DOT. The plan calls for DOT to continue to oversee the entire corridor, though DEC will manage the trail. DEC officials say tracks could be laid down again if there is a need in the future. DEC also has said that the State Office of Historic Preservation has no objections to removing tracks as long as steps are taken to mitigate the adverse impact to the historic resource. The department intends to consult with the preservation office on how to do that, but the plan talks about installing signs explaining the history of the railroad and fixing up depots and other structures along the corridor for public use. Joe Mercurio, the president of Adirondack Recreational Trail Advocates, which supports removing the tracks, said he is disappointed that the railroad is going to court. The state Department of Transportation, which manages the corridor, is not part of the suit even though it helped draft and approved the plan. The lawsuit seems to imply that DEC was behind the plan to remove the tracks. “The DEC, apparently at the behest of a wealthy few, is planning to destroy a historic and valuable transportation infrastructure,” the suit contends. Photo by Susan Bibeau of ASR train outside Saranac Lake. Phil, your headline is misleading. Any one I’ve ever spoken to in any way connected with the railroad is in favor of a side by side,in and out recreational trail. I’m fully aware that ARTA rejected this out of hand, and so the State also rejected it without even looking at it. But that is what the Railroad wants. An accompanying trail, that circumvents sensitive areas, as called for in the 1996 UMP. No cost or cost vs return analysis on such a trail has ever been figured. Based on US Navy Roadbuilding School and 27 years in my own construction and landscape construction business, I would venture the estimate (having studied the 120 pages of plans drawn up by Next Stop Tupper Lake and discarded by the DEC) I would estimate that rebuilding the rails and constructing the accompanying trail cost about 20% more than tearing up the rails and building a trail in the order of the quality that the DEC presented to the APA. The economic return from such an investment would be exponentially great than the return from the money spent on destroying the Historic Railroad and building a recreational trail. Keith, in the context of this week’s news, I think the headline is accurate. ASR is seeking to block the rail trail that the governor announced has been approved. The rails-with-trails option is no longer on the table. State officials have made that clear numerous times. Which is why the lawsuit – because the way the state got to this point does not bear close examination, on neither the facts nor the law. The state has started accumulating lawsuits because of the way the Cuomo administration has been playing fast and loose with information and the law. Governor Cuomo is not a believer in process if it stands between him and getting what he wants. There are never going to be simple decisions in the park because of so many competing agendas, but if seeking a balance between them turns on political power rather than objective facts and honest dialog, then the end result is going to be bad. Some politics are going to be unavoidable – but this case is blatantly at odds with the best use of the corridor. No Mr. Mercurio. SURRENDER is not a part of our vocabulary. You ought to know that by now. In my opinion …………………..these folks are selfish. Rail supporters are not selfish for trying to preserve a historical property and transportation asset that has been targeted by a group of activists, using misleading and disparaging tactics. It would be great if Carl Knoch, author of the the RTC Adirondack Rail Trail economic impact study, and now ARTA board member, would join the discussion and explain the circumstances of how ARTA commissioned the study. He could explain some of the details of the charts that differ from the published example trail EIS documents. And why local contributions are included for economic impact, especially when NYS agreed they should not be included. Yes, ASR please bite the hand that feeds you. I hope the DOT DOES NOT renew your lease the next time it comes up. It’s a month to month lease. And DOT is paying their bills. Ever try to run a business on a month-to-month lease and try to secure a line of credit? Oh, and DOT is NOT paying the railroad’s bills. It pays for its own operations and equipment maintenance. DOT pays for right of way maintenance (brush clearing, etc). Others can substantiate this in greater detail. Another day, another ARTA distortion. right. taxpayer money to sustain a failed operation. the railroad is dead and has been for years. it will never pay it’s own way and who paid for the bridge put in behind the best western motel in saranac lake. i can say tax payers paid it and will never realize a return on this waste of money. why should ny tazpayers finance a failed business? if they do for a failed rail road they should do it for everyone with a crazy idea.stop putting the taxpayer on the hook for failed operations. Actually we have foiled documents that prove otherwise but keep on trying to set us straight in that regard. The document pile is several inches thick with reimbursement receipts for all kinds of interesting items that the taxpayer are footing the bill for that have nothing to do with maintenance of way. Also some significant amounts of money disbursed with vague descriptions such as “various invoices” but with no actual invoices attached. So much for transparency. Interesting that Mr. Mercurio says “They want it all” when ARTA is on record calling for removal of the tracks all the way back to Thendara – and always has been. Interesting that ARTA has never been suggested any solutions that didn’t involve removing the tracks – while the railroad has been ready to accommodate rails and trails for the past 20 years. Interesting, when you look at the make-up of ARTA and you find the only thing they all have in common is a desire to get rid of the tracks. Interesting – Mr. Mercurio seems to be willing to accept a compromise. That is incorrect; ARTA is continually public about the goal of removing the rails from the entire length of the corridor. ASR does not view this plan as a compromise where the natural end point of the railroad, or the two most probable endpoints for rail tourism venues are removed from the railroad. That’s right. ARTA’s goal is the same as it has always been: Remove the railroad all the way to Thendara/Old Forge. They will agitate for that and will do their best to keep the railroad from getting the $15 million promised by Gov. Cuomo. Some of them want the line removed all the way to Utica. Both groups have goals. Both groups have merit. The compromise is an attempt to allow both groups to share the corridor – a state resource. ARTA is willing to accept the compromise, ASR is not. One can only speculate about what may happen in the future, but ultimately the decision can only be made by taxpayers and DEC/DOT. If it seems the deck is stacked against ASR, you are right. DEC/DOT has quite a long history of managing the corridor. If they felt RR service from Utica to LP was ever going to happen, AND that was THEIR goal as well, we wouldn’t be having this discussion. Perhaps DEC/DOT’s goals for the corridor will change to support only ASR’s goals, but we haven’t seen any signs of that. Who is advocating removing the tracks all the way to Utica? I have never heard that. Old Forge is not Utica. Posted March 5, 2016, 7:45 PM: Marcel Carrier; Tupper Lake to Old Forge and better yet to Utica. I could have doubled my miles ridden this season if the rails were gone from Tupper Lake to Beaver River…. …Keep thinking “small” NYS. You’ll keep getting “little” in results. “All The Way From Tupper Lake to Old Forge” and better yet to Utica ! Marcel is not an ARTA board member and he is entitled to his own opinions. Mr. Brown wanted to know who was advocating for removal of the tracks to Utica. All he needs to do is troll both of the ARTA Facebook pages and he will find plenty of posts to clear that question up. Utica is not even on the Remsen Lake Placid Corridor. In fact most all the train rides out of Utica don’t even make it to Old a Forge much less Big Moose. Marcel Carrier; David Whitbeck It would make a good interpretive site on the PAST of the of the Rails. Jack it up, move it to the side and go forward with the Trail. All the way from Tupper Lake to Old Forge and better yet to Utica ! Again, these folks are entitled to their own opinions. It does not make it the ARTA stance. Actually if this rail trail connected it to larger populated areas like many of the rail trails compared in the ARTA info they have posted it would probably be be a positive. Some of the ones they use for comparables are connected to other trails and have destinations like Pittsburgh, DC, etc. Marcel Carrier shared Rails-to-Trails Conservancy’s post. Link this system with the Erie Canalway Trail then to a Greater Adirondack Rail Trail at Utica, you could at some future time ride a bicycle from Lake Placid to Cinncinati OH via the Eire to Ohio Rail Trail at Cleveland and to Washington DC via the Great Allegheny Passage and the C & O Canal Trail at Pittsburgh, with a miniumum of road travel. Ohio, Pennsylvannia and West Virgia get it ! “Small Think” NY State still wants to remain in the “19th Century TRAIN of Thought”. Mr. Carrier, as an ARTA member and outspoken representative of the rail-trail advocacy, has mentioned the rails should be removed all the way to Utica, as well as all of the other rails in the Adirondack Park on more than one occasion. Sounds like Marcel Carrier wants to remove the rails to Utica. That is not ARTA’s position. And he is not on ARTA’s board. I did not identify Mr. Carrier as an ARTA board member. You stated you never heard this; I simply point out this appears frequently on the social media pages of the trail advocacy. And again Mr. Carrier and anyone else is also entitled to their opinions. Still not ARTA’s position just as the numerous and various posts on the RR social media are not representative of the ASR. They are the opinions of the individual posting. You said you never heard that. Well, you have now. I posted that “some” want the rails removed all the way to Utica and I believe that shows an underlying mindset, even it it isn’t an official position of ARTA. It is a fact that ARTA’s goal is, as it always has been, the removal of rails all the way to Thendara/Old Forge. They will continue to agitate for that, the “compromise” notwithstanding. Again, rail supporters have nearly always supported an inclusive approach, calling for both rail and trail, while ARTA’s approach is the direct opposite: Tear out the railroad to Tupper Lake for now and then to Old Forge later on. Yes, now I know one or two individuals have expressed a desire on Facebook to tear up the tracks all the way to Utica. But I have never heard anyone from ARTA express this view. To the contrary, they say the Old Forge train should be left alone. Nor did I hear this view expressed at any of the public hearings I attended or see it in any of the many, many public comments I waded through. One group that has made a big noise about taking out the railroad has been the snowmobile crowd. Part of their reasoning has been the claim that the snowmobile sport generates over $800 million in annual economic impact in New York, based on a 2012 economic study commissioned by the state snowmobile association, with roughly a quarter of that coming to the Adirondacks. Check out page 13–snowmobile registrations are now lower than they were in 1996! Of course, much of this was from the bad winter this season–a lot of sledders let their registrations lapse, so it’s likely a lot would be reregistered in a better winter–but the long term decline is quite clear. The sled crowd should quite talking about their economic impact. Between this registration drop and the bad winter, I would bet their economic impact was close to zero this past season. 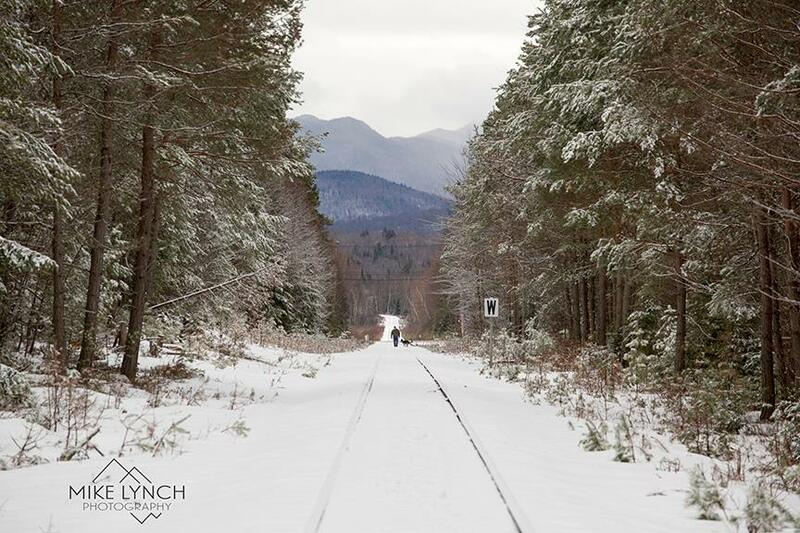 Kind of hard to have a major economic impact when the snow conditions this past winter sucked, but then again with what snow we DID HAVE, if there were no rails between Tupper Lake & Lake Placid those snowmobilers that were riding could have/would have used the corridor to ride. But then again the skiing season sucked this winter also. But let’s loo at a few other facts: The rail line has been open for use by ASR since 1 April which is when snowmobiling can no longer use the rails. What have we got a few trains from Utica to Remsen, & nothing on the northern end. If the northern end was a hiking/biking trail it would have been totally open to use by now, but no, the train crowd has to run those invisible trains in the spring! Again as I said above, ASR be very carful here, you are suing the hands that feeds you & it would be very easy for the DOT/DEC to say that’s it for you at the end of this season & NOT renew your lease. I’m all for that! Maintaining and upgrading the tracks is the best alternative to serve and preserve this great recreational area. It provides the least polluting and cost effective means to provide access while least disrupting and best at maintaining its natural state. HA! I think hiking, biking, walking on a trail is less polluting and cheaper than the choo-choo, spewing God-knows-what into the air. Oh my!! I wonder what Roamin’ with Broman and Debra E would say about other railroads that run with coal burning steam locomotives. I can only begin to imagine what they would say if the Adirondack were able to return steam traction here, too. Of course, many of us would love that. . .nothing like steam railroading, believe me! But its not the draw it used to be. . .check out my post above. snowmobiling on a bad year is far better than the train on a good year! this is a case of “you don’t know what you’ve got ’til it’s gone.” Those tracks through Tupper have been dormant and moribund for decades. Now that there is a viable and promising alternative for use from Tupper, suddenly the tracks are a priceless asset with the promise of all sorts of good things for Tupper. Rail advocates had their chance and with any luck, now it’s the trail advocates’ turn. Rip up the rails. What a sensible compromise, trail from Tupper to lake placid, enhanced rail to old Forge. The rail advocates should be ashamed of themselves. Not a penny should go to the railroad until they drop their selfish lawsuit. People will be amazed when they see how popular the rail trail will be, and how much tourist business it generates in the tri lakes area. I just don’t understand why there can’t be both railway and trail. From Lake Placid to Old Forge and beyond. Regulations and cost. It’s not impossible, but highly unlikely to be funded. No one has ever looked at the cost. It doesn’t take a study with teams of engineers and bean-counters to know it would be expensive. Exactly how expensive is likely irrelevant considering the difficulty complying with wetland regulations. But nothing is impossible. There is no reason at all that the railroad and a trail can not coexist. I stand completely with the railroad on this. But that is exactly what the compromise allows. The ASR doesn’t want the compromise. Trains do not belong in the Adirondack backcountry. But I suppose it’s OK for every other type of motorized transport, right? That’s what you have now, thousands upon thousands of vehicles of all sorts clogging the roads and trails and polluting the air. There is far more damage done to the environment than a few trains. DEC has given several reasons why the train and trail cannot co-exist–environmental, legal, and financial. You might argue that the obstacles are not insurmountable, but it’s inaccurate to say there is no reason the trail should not exist alongside the rails. I and I expect several thousand others interested in this issue will be interested to know if the Albany DEC folks have ever before spent 15 pages and many hours to debunk a trail design that regional staff have had a hand to produce with volunteers. 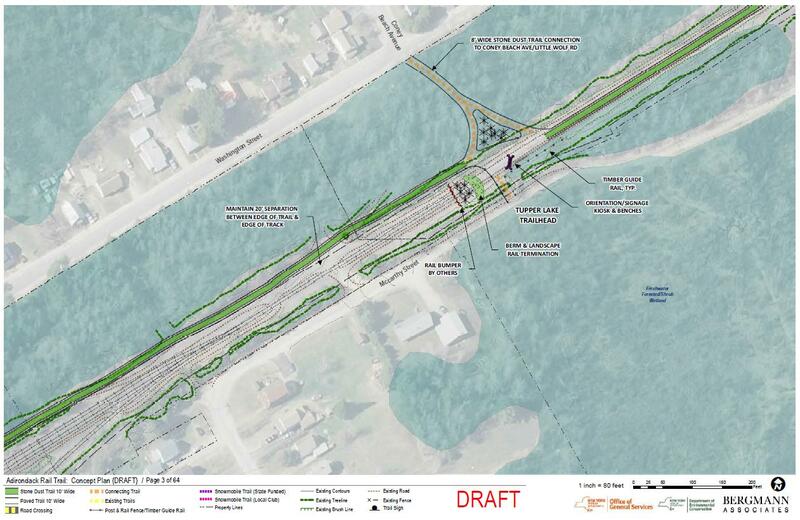 In the meeting with Commissioner Seggos on Tuesday, it was abundantly clear that none of his staff advising him had ever seen the outline of the trail design from Tupper to LP. For sure it is not a straight line speedway that motorized recreation vehicles could use — it is a design centered on year round pedestrian uses and human powered bicycles. The wetland issues that abound in the corridor had solutions proposed that are used all around the USA in similar situations. You need to revisit the process involved in all this. The 60,000 postcards delivered to the Gov’s office since the concept to rip up the rails was first floated that said save the rails to LP were counted by the folks involved as one intervention. The claims that communities along the corridor voted to support this misguided effort take no account of the vote by Franklin County and the Town of Harrietstown to retain the rails and build community connecting trails. The economic impact study that purports to support Alternative 7 is deeply flawed and took no account of a very detailed economic impact analysis provided by ARPS. This morning at the LP Rotary meeting, people in the room finally realized that the community will no longer be connected to the US rail transportation system if this proceeds. The DEC proposal to create a public transit system to carry people from the rail head in Tupper to Saranac Lake and Lake Placid, is just so much pixie dust. The TRAC people on many occasions offered to work with those wanting trails — just not at the expense of the economic engine that rail passenger services can deliver. The offer to compromise was NEVER acknowledged. The guy who owns the publication where you are employed, among others, made that quite clear. The hundreds of people who work to make ARPS successful and rail passenger services available are poorly served with the decision to rip up the rails. The merchants in SL and LP who will lose business are poorly served. The residents of and visitors to the Adirondack North Country’s two best known tourism destinations are poorly served by this decision. Lord knows our highway transportation network is not capable of carrying the predicted hundreds of thousands of new trail user visitors. These are just some of the reasons this decision is being brought to the courts, not your headline. B.S. Tony Goodwin approached TRAC when it was first being organized. He was rebuffed. Another RR fabrication. Got copy of the email. That DEC spent 15 pages and many hours debunking the TRAC proposal suggests that the TRAC proposal was not ignored. DEC just concluded it was unworkable. Not only that, the side trails off the corridor would not be usable by road bikes, defeating one of the main purposes of the rail trail. Those came directly from ARTA, not from real research. Had DEC members who wrote that up actually walked the tracks, the question of how hordes of people would cross busy highways would have been obvious to them. And anyone with any knowledge of construction knows full well the trail will be much less expensive to construct with a RR next to it to move machinery and product. They’ll cross highways the same way people on other trails cross highways, they’ll walk!! Not that hard to figure out! There are trails in Virginia/Maryland & DC that run right thru the major cities of the area & they have NO PROBLEM cross busy highways! And the highways down there are much more congested than anything you have in the Adirondacks. Gosh darn it another complete fabrication. DEC never asked ARTA for our input on the TRAC proposal. We reviewed the online version, since we weren’t given an advanced copy, and came to our own conclusions. I would hope that TRAC would have given DEC their own copy to review, as well as meet with the appropriate officials. If in fact DEC came to similar conclusion that ARTA did does not implicate DEC as colluding with ARTA. It just means we agree on some of the issues. The are several reasons, money and environmental issues to name just two. It’s a bizarre idea to think that an iron rail has historic significance. There once were old rail tracks throughout the state and country that are long gone. Many of them replaced by recreational trails. The tracks from big moose to saranac should be removed what will be the purpose of going to tupper lake nothing. You have a group of train people who like playing with a full size train set buy them a ho set for there basement, why should taxpayers give them 15 million. That money should be used to fix our roads and bridges that are falling apart not for a useless railroad that hasn’t been used in 35+ years, time to try something different! Not ARTA, our only conflict is Big Moose or Old Forge, but Old Forge is beds and services, Rt. 28 and the most functional part of ASR’s operations on the corridor. WHY are they ripping up active train tracks? The passenger trains between lake Placid and Saranac Lake are very popular. The Adirondacks already have thousands of miles of hiking trails! Are you really that naïve. 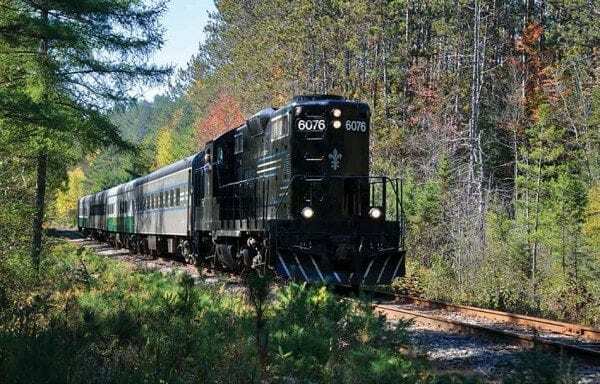 There IS NO passenger service between Lake Placid & Saranac Lake, it is a scenic railroad & it only runs a limited schedule & it’s not very popular. They aren’t replacing that section of railway with a hiking trail. It would be a multipurpose, year-round trail. Walking/hiking would only be one use. This is about the same amount of mt biking that was opened up in the Essex Chain area this past year. Not sure how much of it you can snowmobile on? The legal argument regarding the travel corridor is an interesting one and one that I think would benefit both parties to have that cleared up by the court. You wouldn’t want to build a trail and then lose it. Overall I think this suit is a joke. If the state had wanted to have a train running all the way from Utica to Lake Placid they would have kept it going after the 1980 Olympics. If they wanted it today, they would be rehabbing the tracks. They aren’t! If ASR was to get real lucky & have this UMP overturned, what makes anyone thing that the DOT/DEC are going to look favorably on any further actions other than the status quo! I’m willing to bet that the DEC/DOT kill off the ASR all together after this year, if that was to ever happen & they will never renew their lease! They don’t have to! Their plan is to rehab all of it except the 30 miles that connect the major towns in the park. Seems a little crazy to me. Why would you expect the state to put anymore money into refurbishing the rails north to Tupper Lake or Lake Placid, if they loose the court case? You bite the hand that feeds you yet you expect them to go forward like nothing happened! We have been hiking in the ADKs since the 80’s. We bought a house to live there year round a few years ago. We are looking forward to using the multi-purpose trail…riding bikes to Lake Placid, jogging, walking dogs. Tourists and homeowners want bike and jogging trails. These are different than hiking trails. Families will use these with kids. Wheelchairs can use them. It’s healthy. It’s a way to connect with nature for the whole family in many ways, not just looking out a window from a seat. Check your stories of other towns who are putting in trails. They thrive! Give us our trail from LP to Tupper. If a train can succeed the rest of the way…then good! Those in DEC who have seen the trail and analyzed the TRAC proposal produced 15 pages of reasons why that proposal would never work. They did not ignore TRAC’s proposal. The railroad’s economic projections were not considered relevant because no previous projection by the railroad has ever come true. For instance, according to the projections in the 1996 UMP, by this time the stand-alone Lake Placid-Saranac Lake tourist operation was supposed to NET $275,000 annually. That’s a $25 profit per ticket sold this past year, except that each ticket only cost $20. While a few Saranac Lake merchants have reported increases in “traffic” when the train pulls into town, the Lake Placid restaurants located within sight of the train station have not reported any increased business from the rail operation. Our Emmy Award Winning PBS series featured the Adirondack Scenic Railroad last year. This is a very special place with special people that have a mission to preserve and present this Rail lines great legacy. Being the length of track along with the destinations and towns inbetween this line has a great future. The one thing I see throughout this industry is these tourist railroads introduce a new generation to railroading, its history, and the nature and beauty that surrounds the line. They are also an economic driving Factor. If you look around our great nation and explore many of the other tourist railroads you will see they are the anchor for tourism along with economic growth. The general public is interested in these lines and experiencing things like overnight trains and traveling town to town. This line has that potential. People currently travel from around the region and the United States to ride their trains. They even have international visitors that come and visit and ride their trains. It’s very sad that this is even happening at all. In my 25 years of covering the industry I’ve seen tremendous growth due to the fact that states and municipalities work together. The simplest and easiest thing to do is to build a trail next to the rail line like many have already done to meet all needs. It’s sad that the rich and the few can convince legislators and politically elected officials to do things like this. Honestly it is the most ridiculous thing to rip track up. To consider cutting the track and half is even more ridiculous in this day and age. Only in New York state have I ever seen this happen. I could be wrong though and there may be other states that have done this before. I really do hope all parties can come together and have a balance and build the trail next to or near the rail corridor. This would be a win for all parties including all the towns that are along the rail corridor. While logic may dictate this would be simple and easy, in reality it would be neither. Other groups may have done it elsewhere, but not through the Adirondack Park’s wetlands. Again, it isn’t impossible, but encounter a lot of regulatory challenges as well as budgetary challenges. We could also build a monorail that could run over the top of the trail but that isn’t going to happen either! How many sections of the TRAC proposals traverse wetlands or divert off the corridor? The maps I have seen show parallel trail and rail for portions and the diverting trails in others. At the APA review the DEC showed slides of a paved trail surface in order to spin the idea the trail will be like a travel corridor. Well if you can pave it, you can leave the rails in place and create “street trackage” that is essentially a trolley-right of way. The trolley systems in the US had approximately 60,000 miles of track at its peak in the early to mid 1900’s. We know how to build tracks into the pavement or into a trail surface. This would allow all types of recreation use, preserve the historic aspects of the track structure, save millions of dollars of demolition expense and re-installation expense should rail service be desired. The corridor is managed now by calendar dates for train and recreational use; the same could occur for special trains in the sections where trolley-type trackage would be built. Solutions exist; having folks that want to employ them is the problem. Yes, you could do that, but how would you keep users off of it all summer when the train is running? We can’t have trains mowing down hikers, cyclists and baby carriages every time it comes through. In addition, rails parallel to the trail would wreak havoc on cyclists. There has to be an indentation for the wheel flange to ride that a bike tire would fit into it very nicely. So cyclists would essentially get nothing. But who knows? Maybe that is what we will end up with. Let’s assume the plan to give the right-of-way to the recreational users remains as proposed. No operations will be expected north of Tupper Lake. There will be no concern about scheduling service or trains meeting cyclists, walkers, etc. Pave the surface flush with the rail head and do not be concerned about flangeways; a train could cut new flangeways with the first pass with no problem anyway. Inside distance between the rails (gauge) is 4′, 8-1/2″. Blocking timbers, ties, or concrete curbs could extend the surface a few feet on each side where width is a concern. The photo above appears to be built with crusher fines or limestone dust. The rail head is typically 2″ wide. I looked at the photos and it does look like an alternative, but I am no engineer. Things would be a bit tight the way they made it, it probably wouldn’t be workable with road bikes at that width because there would be hell to pay if you slipped over the edge when meeting another cyclist. But I see the idea. My original thought was to bury the 34 miles beneath gravel and blacktop. If rail service was ever needed again, the top layer could be stripped and the bed rehabbed as needed to allow trains again. But I am not sure what freeze/thaw cycles would do. We could actually have trains mowing down walkers. It would probably only take a few to make the rest take notice. The alternative is not that bad either, less road congestion and a glut of used cars for sale in the park left by deceased owners. They aren’t hikers, you know. Hikers don’t go on asphalt and compacted blue stone roads. They go on trails. The ‘trail’ proposed here is a nonmotor use road. Not the same. Only the unaware or inexperienced would call this a trail. No matter though. I predict the Court of Appeals hears this case in about 30 months time. They will rule 5-2 that historic preservation regulations have been broken and the trail is not permitted. Just a prediction, but from an anti Trumper who predicted he would beat HRC by nearly 7 points in the 2016 election last July. Knowing what you want, knowing what is right, and knowing what will happen are 3 very different things. Sometimes these things converge, often they don’t. Not recognizing the difference is what a zealot makes. Although you know a lot about trains and trolleys you do not know much about how dangerous train tracks, even if submerged in pavement, are for a cyclist. Treacherous is the word and worse when wet. Also, very little if any of the trail will be asphalt as the tracks on snowmobiles will tear it up and pavement also melts the snow as well. We are looking at numerous options for surfacing and Vermont is building the Lamoille Valley Rail trail right now with a promising composite. … the Northway put the stake through the line. And don’t forget heavy rail and AMTRAC from Albany to Montreal. Which as a person from Wesport, Essex, or PH, you would know makes no difference in LP. This is one of two issues where I feel you lack a certain degree of objectivity and have just decided to lose your normal rationale and just decide to drink the Kool-Aid. Very disappointing. Are you denying the surviving corridor along Champlain had no effect on why the LP line failed? Who is drinking cool aid?? It connects major metropolitan areas. If the LP line connected to Montreal, perhaps it would still be running.